We had a lovely morning recently at the National Leprechaun Museum which is located at Jervis LUAS tram stop in the heart of Dublin city center. This Museum is a must see for all ages. The Museum captures the entertainment side of Irish History with information about ‘Seanchaithe’ which is the Gaelic word meaning ‘storytellers’. Their role was to tell the people of Ireland myths and legends about the mischievous fairies and leprechauns living down wishing wells and deep in Irish forests, hundreds of years ago. This museum provides entertaining tours with the power to bring excitement and intrigue to every visitor. This effect is especially prominent in the Giants room which is home to furniture which is 10 foot tall. This allows visitors to view the world from a leprechaun’s point of view. Its a the perfect location for funny photos as well! This 45 minute interactive tour is given by comical and enthusiastic tour guides who really bring the native folklore to life. With use of projections, modern art and optical illusions, as well as a trip into the fairy kingdom and a walk through a rainbow, this is guaranteed to be a great day out for all the family. Ideal for Irish visitors wanting to learn some new history not found in the school textbooks. Also a perfect place for international tourists who are eager to know about the Irish culture and heritage. We would highly recommend you to visit to this Museum as it is a really great way to get a feel for the atmosphere of Dublin. From our experience we consider this a must see stop on your visit to Dublin. 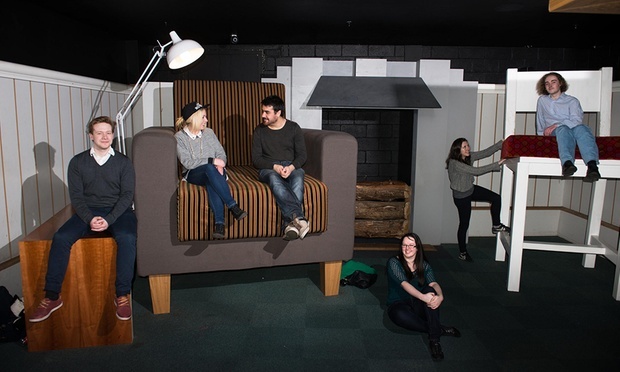 The Giants Room with 10 foot tall furniture. 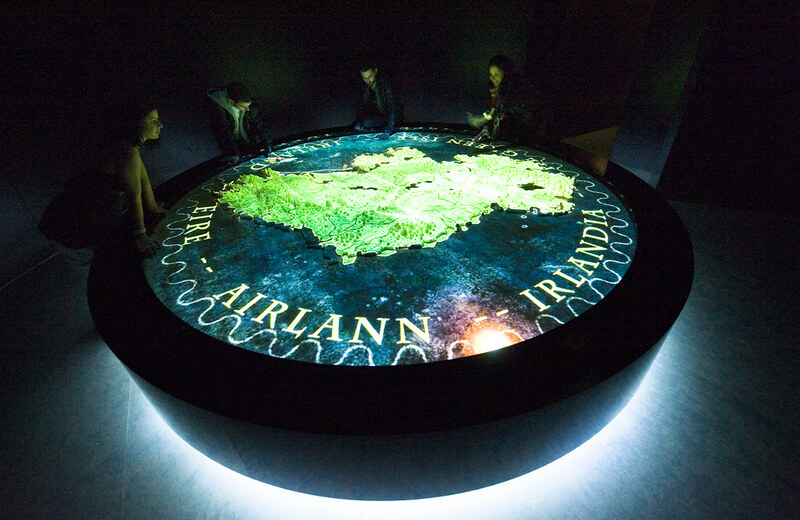 Round table with projection video of Medieval Ireland and it’s whimsical creatures.